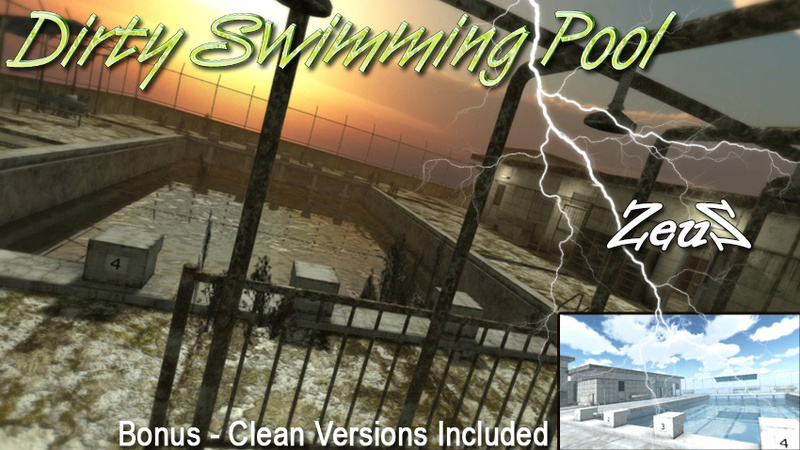 Dirty Swimming Pool - This MEGA Swimming Pool Pack is like getting two packs in one. Description: This MEGA Swimming Pool Pack is like getting two packs in one. Everything is supplied to create a very CLEAN swimming pool setting or you can create a DARK AND DISMAL abandoned looking scene using the Dirty Props.